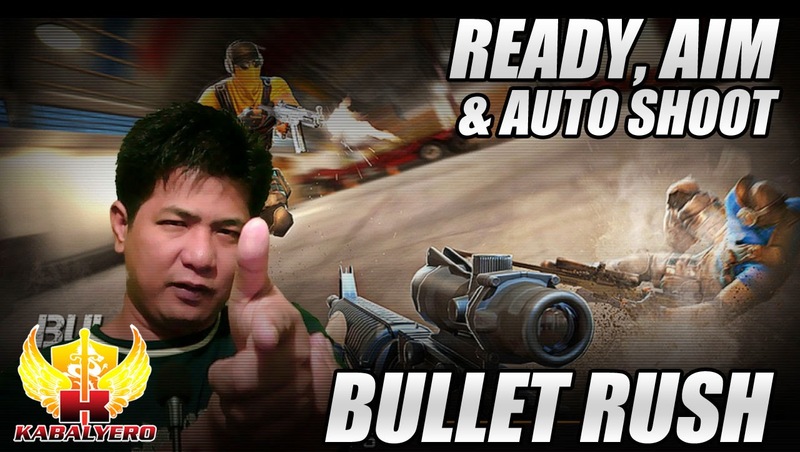 Bullet Rush - Ready, Aim & Auto Shoot - KABALYERO - PLAY, BLOG & EARN! Bullet Rush, all you have to do is be ready, aim at your opponents and it will auto-shoot for you. Recently, the creator of UberStrike, launched a new multiplayer online mobile first-person shooting game called Bullet Rush. Bullet Rush features a more fast-paced gameplay not seen in other mobile first person shooting games and it's all because of its Auto-Shooting feature. All you have to do is move, aim and the game will auto-shoot for you. Bullet Rush is free-to-play. So, if you're looking for a different kind of multiplayer online first person shooting game for your iPad, iPhone or iPod Touch then go and check out Bullet Rush. You will find more information about Bullet Rush at http://www.cmune.com/bulletrush/.